Violina Di Rugosa squash is medium to large in size, averaging 22-30 centimeters in length and weighing 4-5 pounds, and is cylindrical in shape with a large bulbous bottom that tapers in at the center and expands to a smaller bulbous top. Resembling a peanut, the hard, tan skin is covered in semi-rough wrinkles and grooves. The deep orange, dense flesh isn’t overly dry or watery, and the seed cavity, containing pulp and small, flat, cream-colored seeds is proportionately small, providing a greater amount of flesh. When cooked, Violina Di Rugosa has a creamy, smooth texture and a sweet, savory flavor similar to butternut squash, but with a deeper nutty undertone. Violina Di Rugosa squash is available in the late fall through winter. Violina Di Rugosa squash, botanically classified as Cucurbita moschata, is a butternut squash heirloom variety and is a member of the Cucurbitaceae family along with pumpkins and gourds. Also known as Rugosa Violina Gioia, Wrinkled butternut, Gandiotti pumpkin, or simply Rugosa squash, Violina Di Rugosa grows on large, sprawling, prolific vines, and is known for its smooth texture, nutty flavor, and excellent storage capabilities. Violina Di Rugosa butternut squash is a unique variety that is somewhat rare to find and has limited availability from specialty growers and distributors. Violina Di Rugosa squash contains vitamins A, C, and E, potassium, soluble fiber, beta-carotene, and magnesium. Violina Di Rugosa is best suited for cooked applications such as roasting, baking, steaming, mashing, boiling, and stuffing. It can be halved, seeds removed, and roasted as is, or it can be peeled and sliced along the neck into rounds and prepared as a stand-alone side dish. It can also be used in pasta and gnocchi, cooked into bisques and soups, pureed and stuffed in ravioli or empanadas, roasted with tofu, served in lettuce wraps, or mixed in mac & cheese. Violina di Rugosa squash is ideal for desserts such as pies, puddings, donuts, and cakes. Its flavor pairs well with apple, spinach, radicchio, sage, parsley, walnuts, pecans, black beans, rice, butter, maple syrup, brown sugar, cream, and gorgonzola cheese. Violina Di Rugosa stores well and can last up to two months when kept in a cool and dry place. 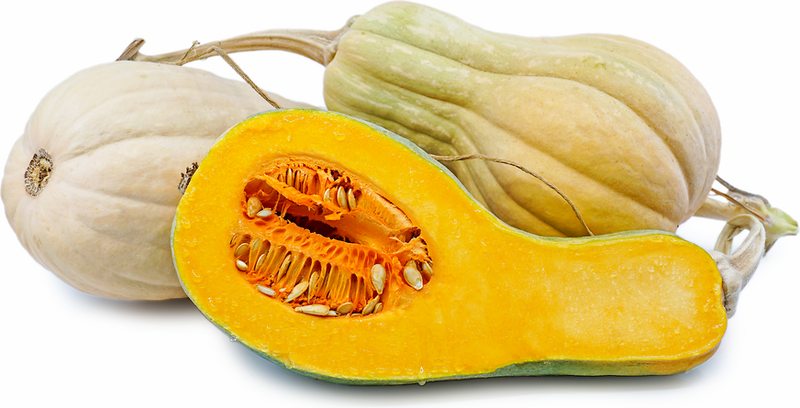 Once cut, the squash should be wrapped, refrigerated and used within five days. The Violina Di Rugosa squash gets its name from its violin-like shape. In Italy, the squash is known as Rogosa Violina Gioia which is a phrase that alludes to the violin and the squash’s rough or scalloped skin. Violina Di Rugosa squash is one of the most popular varieties in southern Italy, used in both savory and sweet preparations, and is traditionally baked to enhance the natural sweetness and smooth texture of the squash. Violina Di Rugosa squash is believed to be native to southern Italy and is considered an old squash variety, but the exact year of origin is unknown. Today, Violina Di Rugosa squash can only be found in a few specific areas of the United States including New Mexico and California and is sold at farmers markets and specialty grocers in Europe and the United States. Recipes that include Violina Di Rugosa Butternut Squash. One is easiest, three is harder.